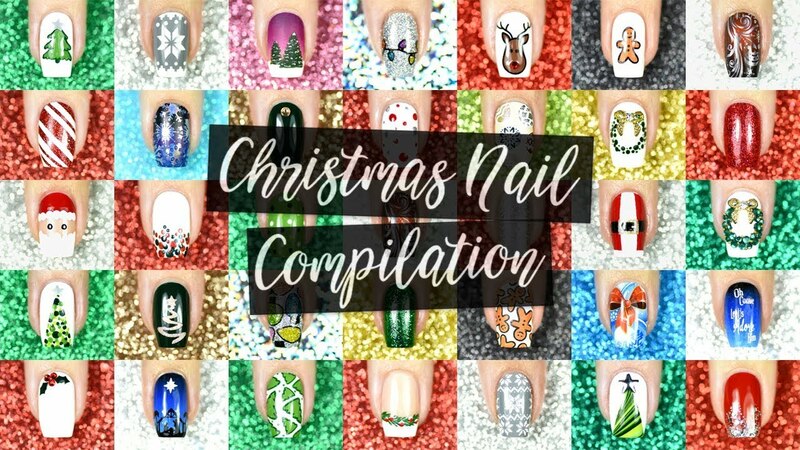 If you are someone who is eagerly waiting for Christmas, I have 100+ christmas nail art ideas for you to try starting from now. They are colorful, easy, fun and fabulous creating the feel of the holiday. A little glitter here, a little mistletoe over there, and you are ready with the spirit of christmas. All these nail art ideas are very artistic yet easy. Bring all your nail polishes together, collect your nail art brushes and tools coz you will need them all. Get started with these fabulous nail art ideas now! 100 Christmas nail art ideas for you to try today! And this ultimate mega Christmas nail art compilation which you need to try it! They are so many nail art ideas and so less time to try them all. Get started now!